Find the villain that kidnapped Zeus and restore order to the kingdom. Panic ensues throughout Olympus once news of Zeus' abduction breaks. Hercules and Megara embark on a mission to locate their missing ruler. Join them on an adventure that spans from snowy peaks to active volcanoes. Find the villain that kidnapped Zeus and restore order to the kingdom of Olympus. 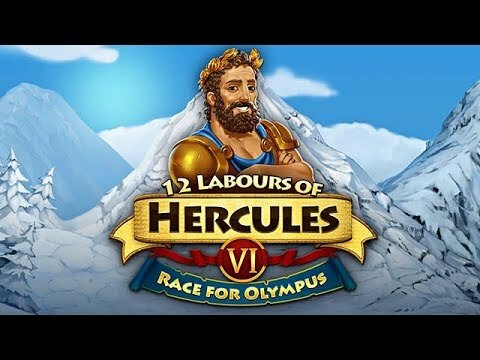 Featuring stunning full HD graphics, unique challenges for skilled players, a non-ordinary plot based on ancient myths, 12 Labours of Hercules VI: Race for Olympus is an adventure to treasure.